It must be painful watching $170,000 go up in flames. Bad news, Godzilla fans: there’s now one less on the road. 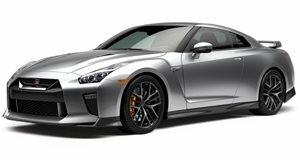 reports that Sharif Abdelbaset was giving his $170,000 GT-R Nismo a workout navigating the twists and turns of the Tail of the Dragon mountain pass in North Carolina, which is regarded as one of the best driving roads in the world. It must have been a euphoric experience for a gearhead. Then, without warning the GT-R Nismo’s turbocharged, 3.8-liter V6 engine suddenly cut out. A few minutes later, his prized GT-R had turned into a raging inferno. Abdelbaset also happens to be the manager of Forged Performance, a tuning shop that specializes in GT-Rs. He uses the car as a daily driver, and it was fitted with basic bolt-on modifications including rotors, calipers, suspension parts, wheels, tires and an exhaust with a mostly stock engine. It was performing well, when the engine cut off as he approached a corner. To make matters worse, Abdelbaset was stranded in a remote area with little cell coverage. Speaking to , Abdelbaset initially didn’t realize the severity of the situation as he stayed in the car for several minutes. “I didn’t smell anything, didn’t see anything; no smell of fuel, no smoke...I was literally sitting in the car,” he said. Fortunately, a friend was following Abdelbaset on a motorcycle and was able to warn him that smoke and fire was coming out of the car. Abdelbaset initially thought his friend was joking, but when he jumped out he could see smoke coming from the right rear quarter of the trunk. Opening the lid, he could see a small “smouldering fire” in the corner of the trunk as the carpet began to burn. People driving by handed over fire extinguishers to try and help Abdelbaset save his GT-R, but within minutes the fire intensified and could not be stopped. Realizing the sports car could not be saved, Abdelbaset grabbed his laptop, backpack and other belongings and watched helplessly as the car burned to a crisp. It must be a heartbreaking sight for any gearhead. Abdelbaset described how he felt a “hopeless sense of ‘there’s nothing you can do.’” Police arrived on the scene 15 minutes after the fire started, but another 30 minutes would pass before a fire crew showed up due to the remote location. At this point, it was too late. As for what caused the inferno, Abdelbaset believes that leaves on the road may have been channeled by the brake guides into the brakes, exhaust and transmission. Since the back of the car gets very hot, it’s possible that accumulating leaves could have caused the fire which would have then melted an electrical harness causing the car to shut off. The good news is that no one was hurt and Abdelbaset was insured, so he’s planning to replace the car with another GT-R. Wisely, he’s also planning to bring a bigger fire extinguisher with him in the future, just in case.